Lyari Town (Sindhi: لیاری ٽاؤن‎, Urdu: لیاری ٹاؤن ‎) is one of the eighteen constituent towns of the city of Karachi, in the province of Sindh, Pakistan. It is the smallest town by area in the city but also the most densely populated town. It is bordered by the towns of SITE Town to the north across the Lyari River, Jamshed and Saddar to the east, and Kemari to the west across the main harbour of Karachi. Main Lyari Town Off. (Old KMC Zonal Office) Shahrah-e-Abdul Rahim Baloch (Chakiwara Road) Lyari Town, Karachi. Lyari is known as a football hotbed in Pakistan. Many of the nation's top players come from the area. Football is very popular & Lyarians were excited about the FIFA World Cup . During the World Cup season, people raise flags of every country especially Brazil. Lyari is also known for bodybuilders, boxers and wrestlers. The federal government introduced local government reforms in the year 2000, which eliminated the previous third tier of government (administrative divisions) and raised the fourth tier (districts) to become the new third tier. 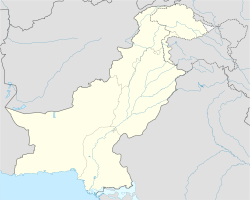 The effect in Karachi was the dissolution of the former Layari Division and the merger of its five districts to form a new Karachi City-District with eighteen autonomous constituent towns including Lyari Town. The very first inhabitants of Lyari were Sindhi fishermen and Baloch nomads. Lyari Town is home of the majority Kutchi speaking people. The ethnic groups include: Balochs, Brahuis, Kutchis, Zikris, Gujratis, Muhajirs, Memons and others. ^ a b c d Yamini Narayanan 2015, p. 165.